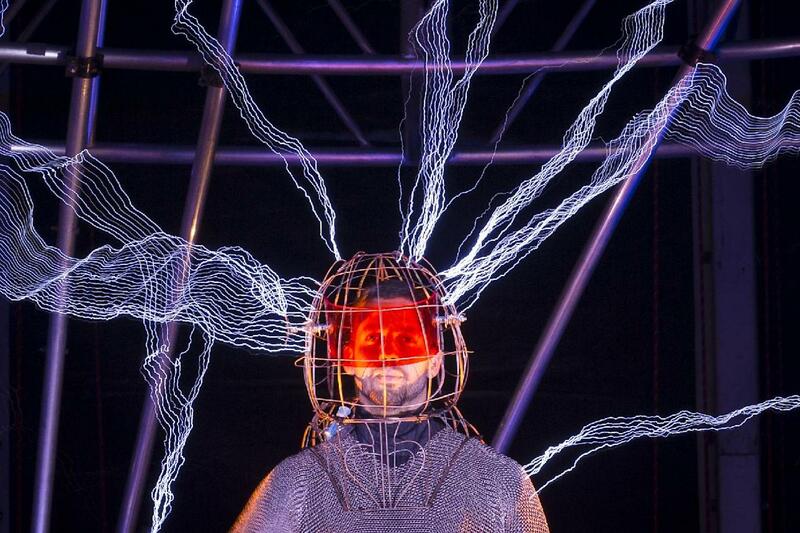 David Blaine is spending his weekend in the middle of a million volts of electricity. 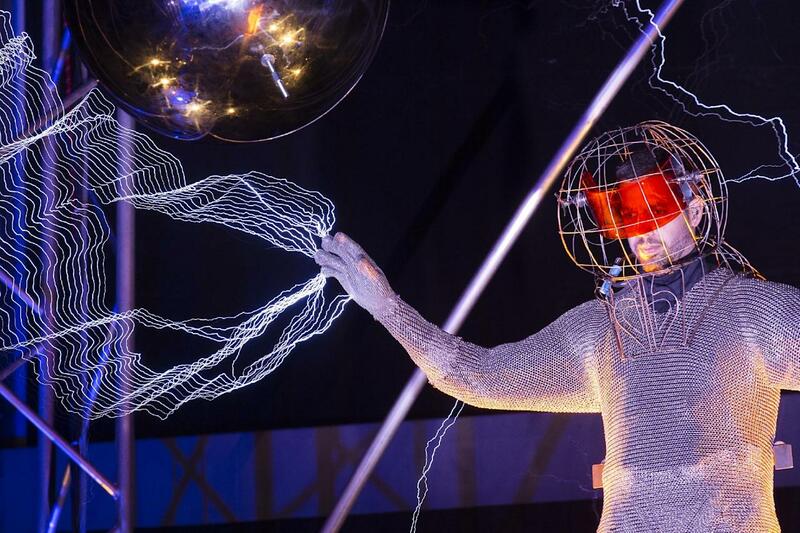 The illusionist --- known for other stunts such as being buried alive and spending time in an ice block --- began the feat on Friday, Oct. 5, at New York City's Pier 54. Blaine is wearing a chain-mail bodysuit to protect him against the currents.